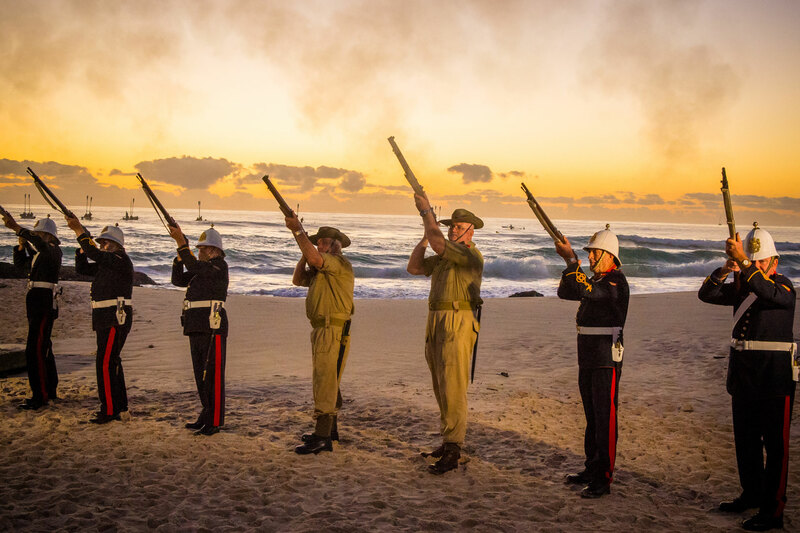 Visit currumbinrsl.com.au for information about the 2019 program for the Currumbin RSL ANZAC Day Dawn Service, Morning Service and other activities associated with ANZAC Day 2019. Currumbin RSL is proud to initiate the project called Australia Remembers. This project is a program of events, Veteran fundraising activities and Remembrance activities set around Remembrance events including ANZAC Day with a focus on the commemoration between 2014 – 2018. The Centenary of ANZAC 2014 to 2018 is the most important period of commemoration for Australians. This period marks 100 years since Australia’s involvement in the First World War, the ANZAC Centenary is a time to honour the sacrifice and service contributed by our original ANZACs, and the many of Australian servicemen and women who have defended and continue to defend our values and freedoms, in wars, conflicts and peace operations throughout a century of service. 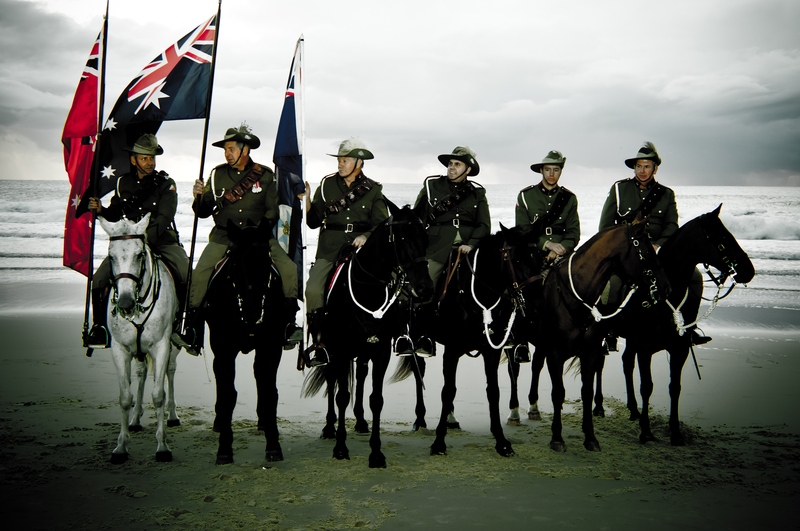 On April 25, Currumbin RSL will commemorate 100 years since the fateful day when many Australian and New Zealand soldiers lost their lives on the shores of Gallipoli. This day is recognised for its historical significance and also the part it played in shaping a new nation. To directly support our Veterans, Currumbin RSL established the Currumbin Palm Beach Veterans Support Centre. We also have close association with contemporary Veteran charities such as Soldier On – helping our wounded soldiers and Cam’s Cause. Soldier On focuses its support on contemporary Veterans. Currumbin RSL is located along Currumbin Creek on the Gold Coast. It strives to be ‘The Best Little Club in the World’ and over the years has won several Clubs Queensland awards such as Best Club Gold Coast, Best Community Contribution and Best Dining. The Club has over 23,000 members, employ’s 165 staff and with all of our suppliers has a direct impact on an additional 4,138 jobs. The Club is known as a social enterprise which exists to provide community benefit through financial, social and environmental contributions. Over the past five years the Club has contributed just over $4million to the local community via financial and in-kind support. 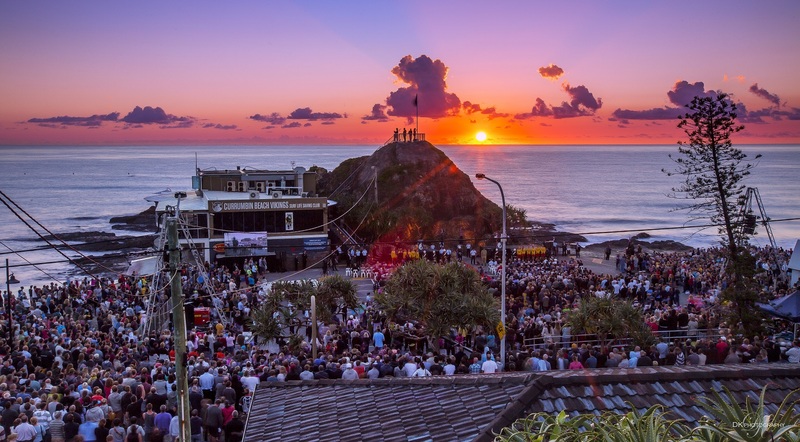 Currumbin RSL is the creator and manages of one of Australia’s largest ANZAC Day Dawn services held at Elephant Rock, Currumbin on the Gold Coast. In successful operation for almost 20 years, the Currumbin RSL Veterans Support Centre (VSC) is run by two paid staff and over 20 volunteers with all arms of the Defence Force represented. The centre is funded almost exclusively by Currumbin RSL with support from the Department of Veterans Affairs (DVA). They exist to offer assistance to both current and ex-service personnel and their families through personal support, legal advice, hospital and home visits, accessing entitlements and providing a social hub. A recent analysis undertaken showed that over the past five years the VSC had accessed over $9M in entitlement for Veterans and their families. As important, if not more so, in the past 12 months they have provided over 6,000 hours of volunteer work including home, hospital and respite care visits. For more information on YVSS CALL (07) 55340968. There are many staff, volunteers and local businesses involved in the preparation of ANZAC Day and all the events leading upto ANZAC Day. Currumbin RSL would like to acknowledge you and thank you greatly for this kind contribution of time and support of theses events and helping to grow the Gold Coast community spirit.